The Tubemeister 36 Amp Head is one of the most versatile and dependable tube amps available with multiple operating modes for stage home and recording. Its integrated MIDI interface including phantom power allows for easy programming of channels FX-loop reverb and power soak. 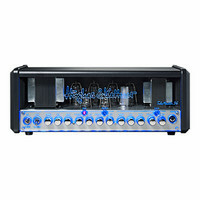 This entry was posted in Hughes + Kettner and tagged Guitar-and-Bass. Bookmark the permalink.